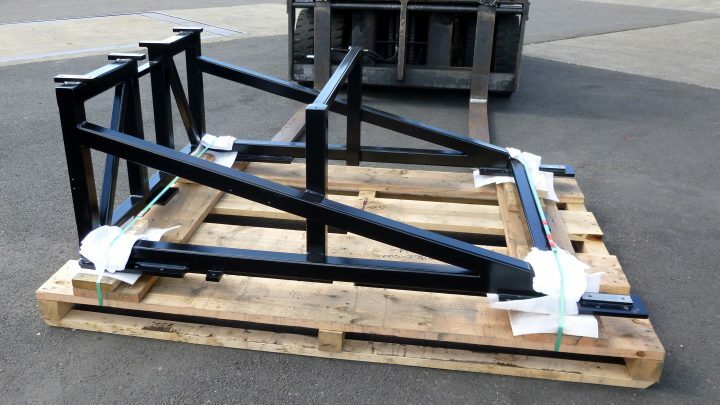 Our forming and fabricating capabilities are extremely diverse. 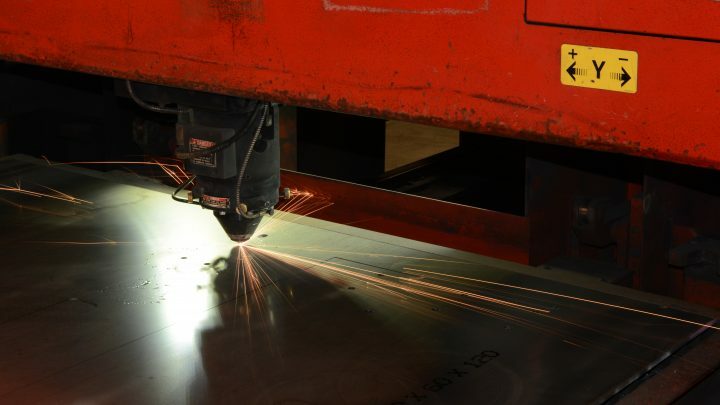 From laser cutting services to combination CNC plasma cutting/machining, we cut from 16GA through 6 inch plate. Similarly, our fabrication workstations range from simple wire-feed welders to fully-automated robotic welding. Our Kinetics machine enables us to remain competitive with smaller operations. 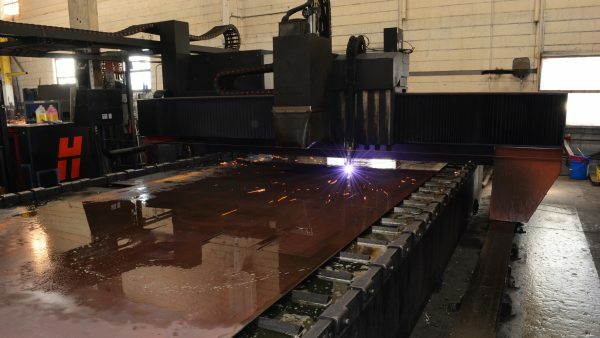 It is a CNC controlled, high definition plasma cutting table combined with a CNC machining capability. Drilled and tapped holes, countersinks, or counterbores, can be added to a part before the profile is burned. When the part comes off the burn table, it is already machined. Where standard approach would require the burned plate to be processed through secondary operations for machined features, this technology facilitates a one and done approach, providing significant cost savings. Burning steel is one of our core competencies. We can employ high definition plasma, oxy-fuel, or laser burning to complete burning processes efficiently. We laser burn down to 14 gage steel, and oxy-fuel burn up to 6 inches thick. 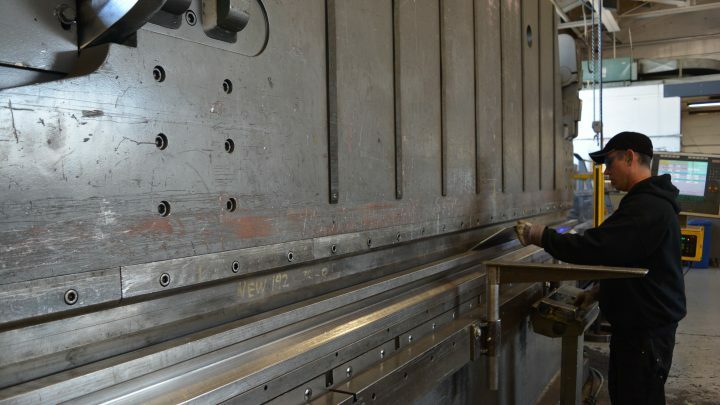 Columbia employs a few small press brakes, and our larger, 350 ton press brake for thicker steel, or larger weldments. We can break forms up to 12 feet in length. Columbia Machine has developed a specialty of fabricating large tubular frames used in a variety of industries, from integrated pump stations to large scale robotic solutions. Columbia Machine can tackle a wide variety of weldment sizes. From the traditional acorn table fabrication stations to our high bays for larger fabrications, to special purpose buildings with 40 tons of lifting capability, Columbia is well situated to take on both large-scale special fabrication projects, to smaller repetitive production parts. 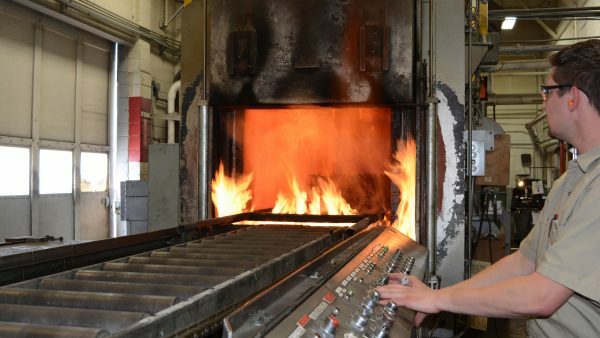 Columbia Machine maintains an in-house heat treatment capability allowing us to harden or stress relieve parts and weldments, without having to outsource the process. 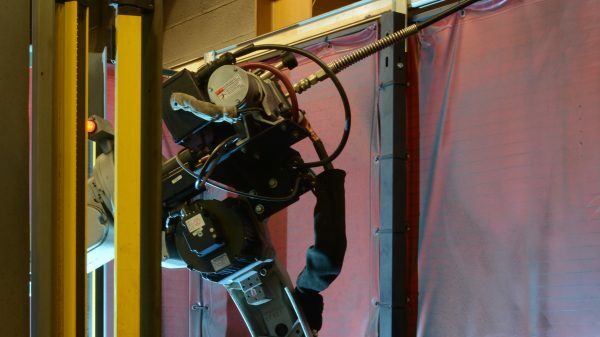 Columbia Machine has invested in robotic welding capability with both a small envelope and large envelop robotic welder. Our large robot has one of the largest working envelopes you will find in the Portland Metro area. runs on a 30' long track and can reach 10' on either side. With multiple cells work can be set-up in one bay while the robot is welding in the next. Our small robitc welder works on parts within an 18" cube, and also has dual bays so work can be set-up in one bay concurrent to robotic welding in the other bay.